Ty Dolla $ign TY DOLLA $IGN ANNOUNCES DON’T JUDGE ME TOUR!! TY DOLLA $IGN ANNOUNCES DON’T JUDGE ME TOUR!! Atlantic recording artist TY DOLLA $IGN has announced plans for a major North American tour. The DON’T JUDGE ME TOUR gets underway February 21st at The Observatory in Santa Ana, CA and travels through mid-April (see attached itinerary). A number of dates will see Ty joined by a slate of support acts, who will be unveiled soon. Spotify pre-sales begin Thursday, December 7th at 12 PM ET/9 AM PT while local pre-sales begin Thursday, December 7th at 10 AM local. All remaining tickets released to the general public on Friday, December 8th at 10 AM local. For complete details, and ticket information, please visit www.dollasignworld.com. The DON’T JUDGE ME TOUR celebrates the recent release of the Grammy nominated singer/songwriter/producer’s long awaited BEACH HOUSE 3, available everywhere now. The album – which marks the long awaited follow-up to the multiple GRAMMY® Award-nominated star’s 2015 breakthrough debut album, FREE TC – made a stellar chart debut upon its October arrival, landing at #8 on Billboard’s “Top R&B/Hip-Hop Albums” chart as well as #11 on the overall Billboard 200. Ty Dolla $ign can also be seen with Future on “Darkside feat Kiiara” which will be featured on the upcoming companion soundtrack for the highly anticipated Netflix original film, BRIGHT. 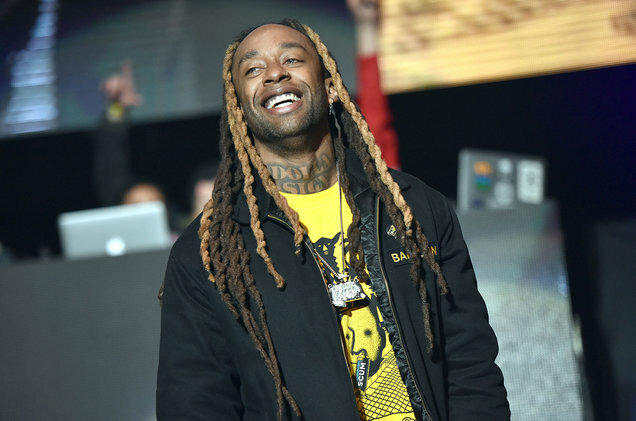 Ty Dolla $ign has been an in-demand writer, producer, and featured artist since helming YG’s 2010 smash, “Toot It and Boot It.” Ty Dolla $ign made a major splash with 2014’s critically-acclaimed BEACH HOUSE EP, highlighted by the RIAA platinum certified “Paranoid (Feat. B.o.B)” and 3x platinum smash, “Or Nah (Feat. Wiz Khalifa & The Weeknd).” He’s also been credited with writing several hits such including Rihanna’s 3X platinum hit “FourFiveSeconds” with Kanye West and Paul McCartney, Chris Brown’s “Loyal,” and most recently Gucci Mane’s “Enormous.” Ty is among the most popular featured artist of the modern era. Highlights include Fifth Harmony’s 5x platinum certified “Work From Home,” Kanye West’s “Fade (Feat. Post Malone),” “Real Friends” and more.